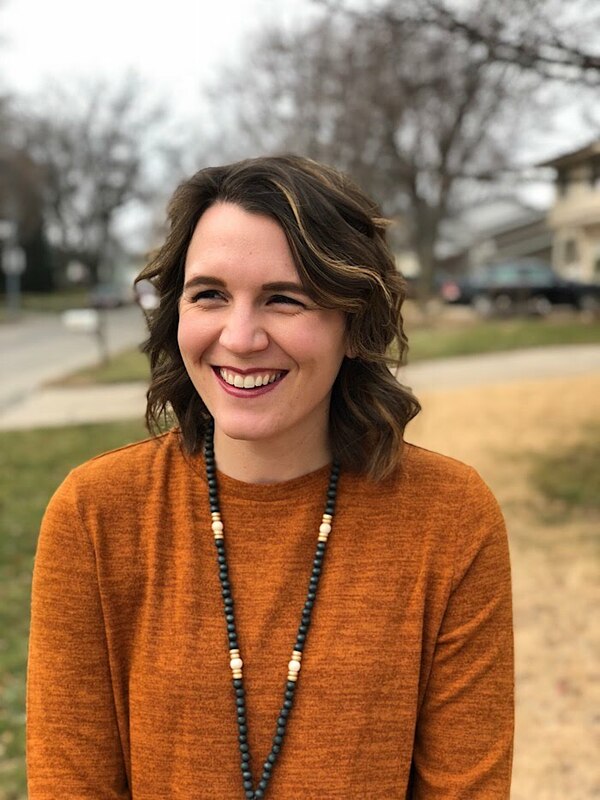 Today I'm taking a break from buffalo plaid to show you a gorgeous new top that is going to get tons of wear! I got this top free for my review but the opinions are all my own. I may receive a commission (with no extra cost added to you) if you make a purchase from the links in this post. Please see my disclosure for more details. 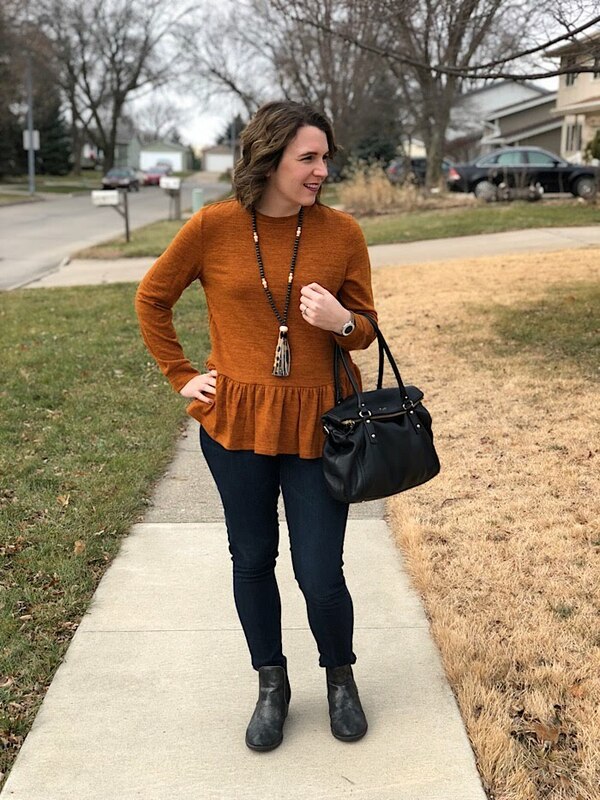 This top is amazing and it's only $14! 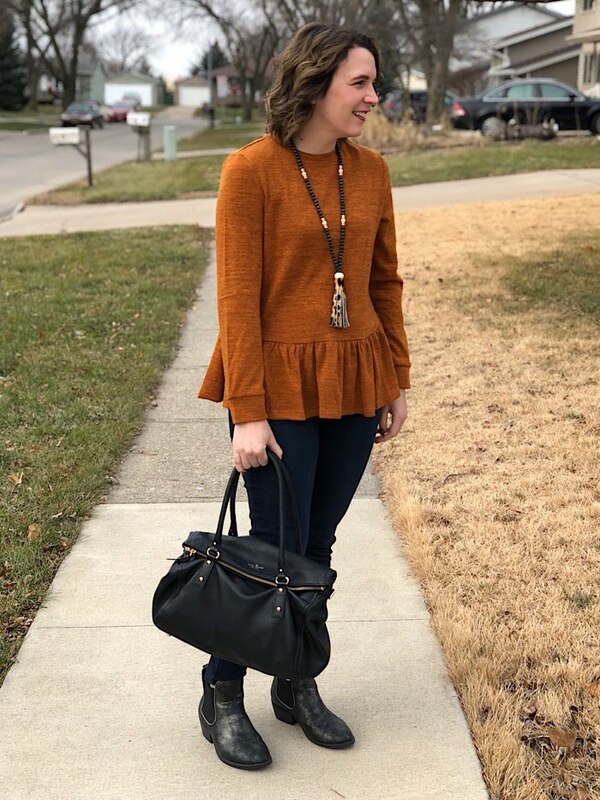 It is a peplum, which I love, but it is also a light sweater fabric so it is perfect for the cooler months! It also comes in a couple different colors! 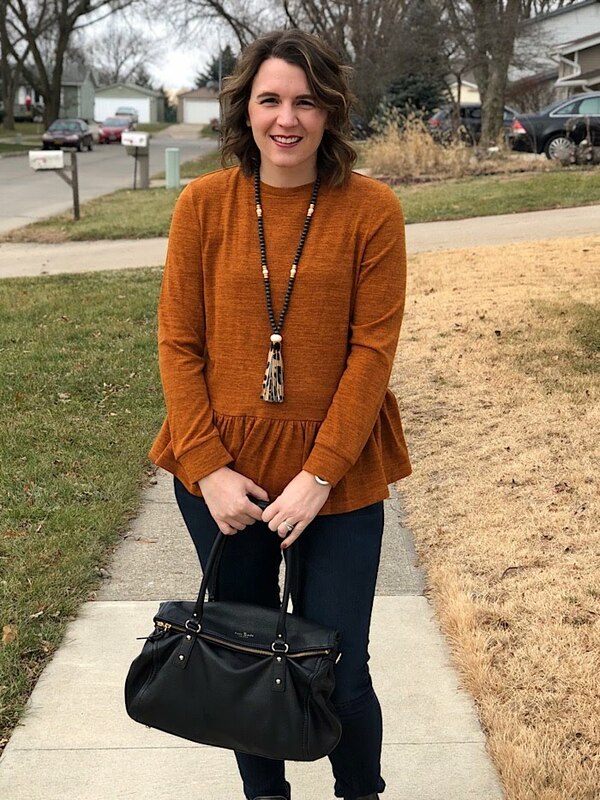 Though this outfit really does have fall vibes, I love the colors of fall all year round! 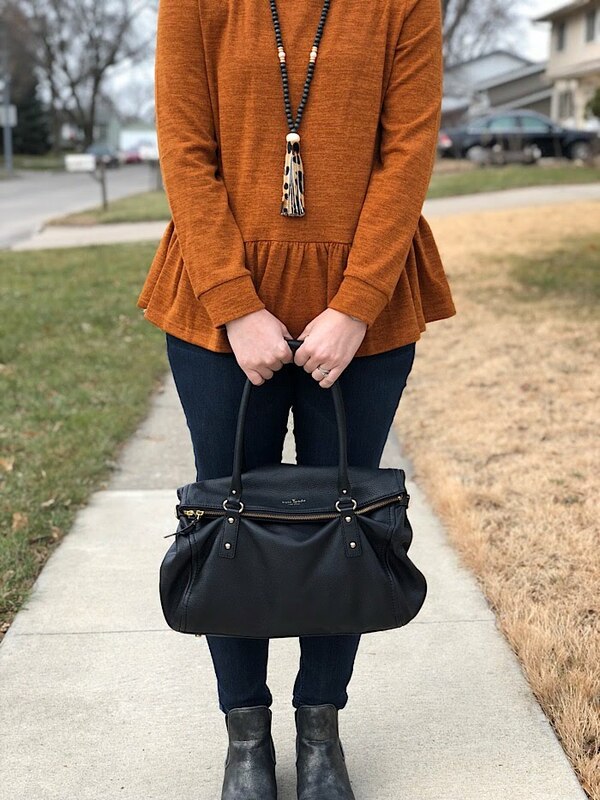 Often with a solid top, I feel myself drawn to add a completer piece like a cardigan or jacket, but with the ruffle on this top and the texture of the fabric, the top speaks for itself. 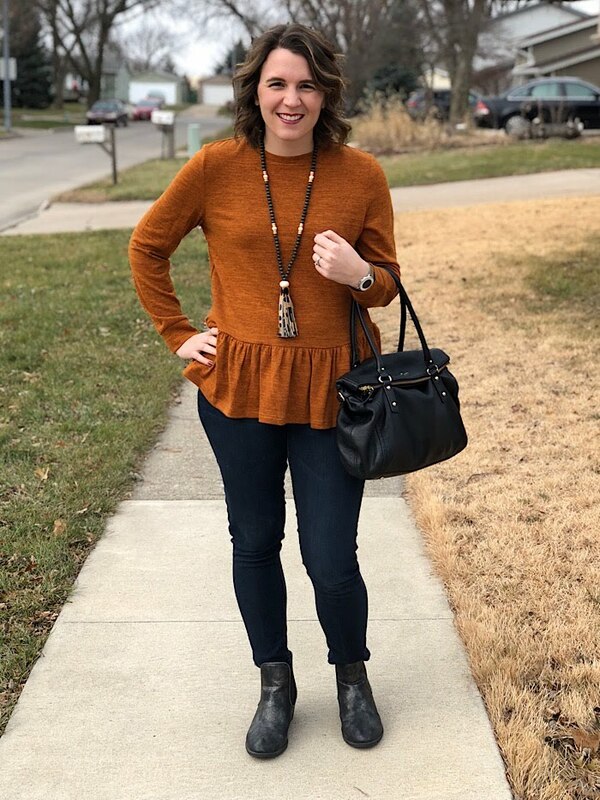 The rest of the outfit is made up of basics that I find myself drawn to frequently, a simple pair of ankle boots, a touch of leopard with my necklace, and my favorite classic black purse. Outfits don't have to have a ton of components to be pulled together. Are you looking for other peplums, here are a couple: lots of pattern choices, black and white plaid, beautiful lace, and an off the shoulder option. Shein is also having an after Christmas sale so make sure to find the discount codes to use on the site!